I’m going to tell you the real Caffè Verona story. It won’t match exactly the Starbucks version, but I’ve done my homework and I think I’ve got it right. Before the restaurant opened its doors, Mick McHugh knew he wanted an excellent local coffee. He went to the original founders of Starbucks, Jerry Baldwin and Gordon Bowker (see also, old Starbucks Pike Place history here) and had to persuade them to do a custom blend for his new restaurant. I spoke with Mick McHugh, and he remembered this well. Since there was, at that time, literally no Starbucks wholesale to restaurants, the original founders were reluctant to work with him. 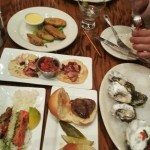 They didn’t have an interest in selling wholesale to restaurants. Mick McHugh recalls that since he was the only restaurant Starbucks sold to, they refused to deliver the coffee to him. He recalled that in the very beginning, he drove to the Pike Place Starbucks to pick up his famous, “Jake’s Blend” for his new business venture, Jake O’Shaughnessy’s. I asked Mick about the idea that the coffee was to be paired with a chocolate dessert. I believe that partners are trained this coffee was blended for a chocolate dessert. 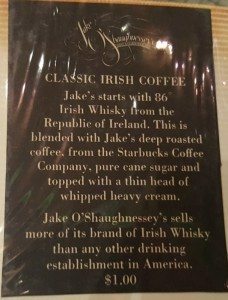 Mick was clear: Jake’s Blend was fabulous in an Irish coffee, featuring Irish whiskey, and not sourced for a special dessert. In official Starbucks sites, they say that Jake’s Blend was meant to pair chocolate cake dessert. Having reviewed historical documents from Jake O’Shaughnessy’s, as well as meeting with the co-founder of Jake O’Shaunessey’s, I find nothing to support the idea that this coffee was specially sourced for any specific chocolate cake. In the mid 1970s, Starbucks started blending and selling a coffee for a restaurant called Jake O’Shaunessey’s on lower Queen Anne (a Seattle neighborhood). It was the very first “private label” coffee for a restaurant and it was called “Jake’s Blend,” a blend of 80% Yukon and 20% Italian Roast, and nobody else had it on their menu. customers started coming into the stores and asking for “Jake’s Blend”. Baristas scooped out the coffees, and weighed it out on scales, and labeled it “Jake’s Blend”. Starbucks sold enough of the coffee that they began to pre-blending and labeling the coffee, labeling it 80/20 Blend. Starbucks added it to the whole bean menu board as “80/20” Blend. If a customer asked for Jake’s Blend, they got 80/20 Blend, but labeled as Jake’s, otherwise they got a bag stamped 80/20 Blend! Baristas were told that if a customer asked what Jake’s Blend was, they were told it was a proprietary blend, but a lot like the 80/20 Blend that was offered on the menu! Let’s fast forward to 1986. In 1986, Howard Schultz was operating a business called Il Giornale, his Italian-themed coffee bar business. 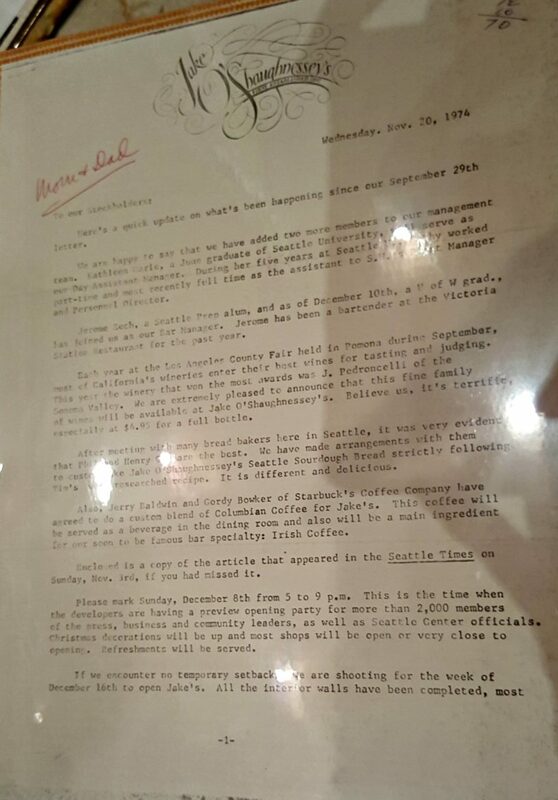 You may recall, Howard was hired by Starbucks in September 1982, as head of marketing development. 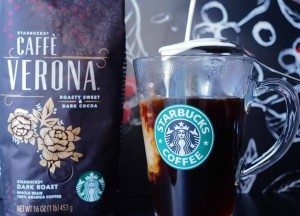 He briefly parted ways with Gordon Bowker and Jerry Baldwin to start his own coffee bar chain, as he disagreed with the Starbucks’ founders strong belief not to have a great beverage business too. In 1987, Howard returned to Starbucks, buying the company. In fact, one day at the Roastery in late 2015, I saw Howard there, and just kind of confronted him with this. I said, “Hey Howard, I heard you named Caffè Verona.” He said he did. 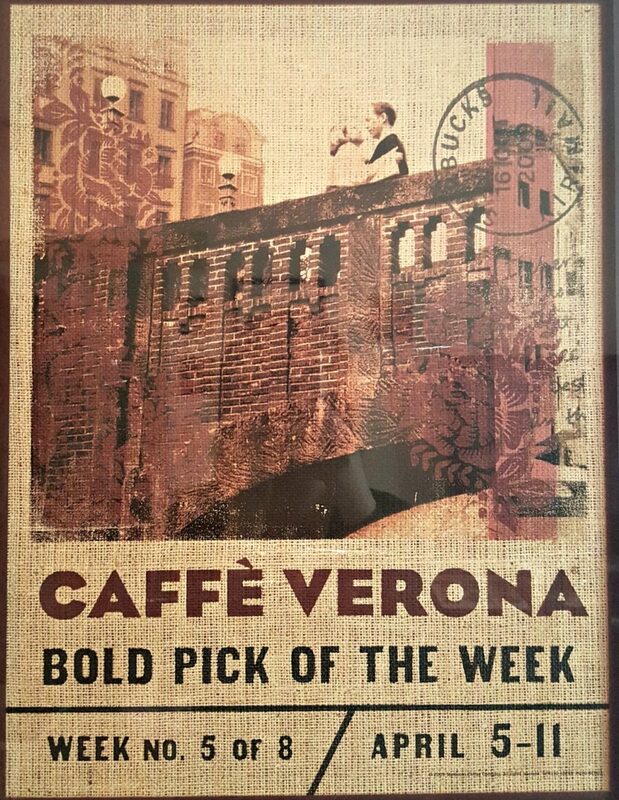 The name Verona ties back to Howard’s famous 1982 trip to Italy, and the whole inspiration to have a business of Italian-inspired coffee bars. The name Caffè Verona was a perfect fit for Il Giornale. 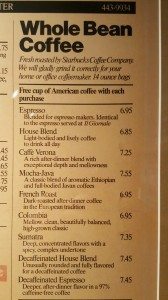 When it came time to trademark the name, Caffè Verona stuck. 80/20 Blend is too general of a name. 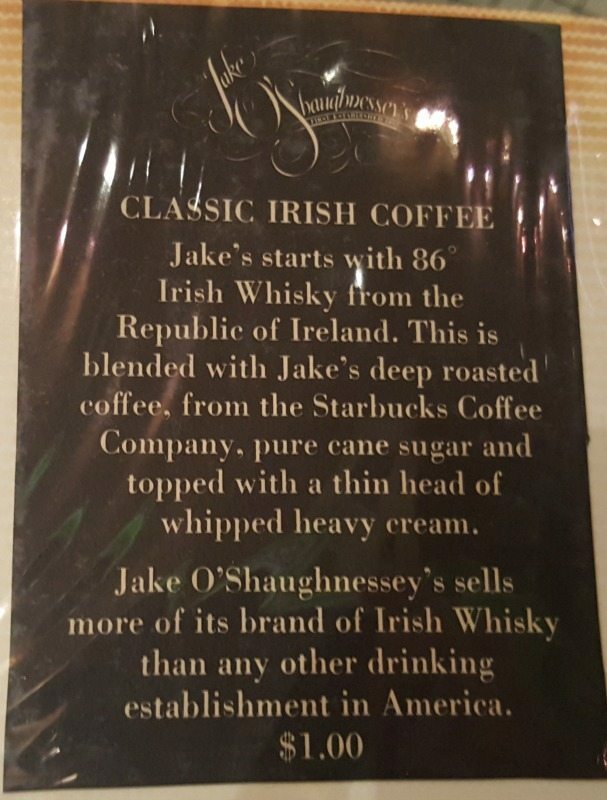 Jake’s Blend was already associated with the business Jake O’Shaughnessy’s. Caffè Verona fit and made sense. Sandy wanted to “capture the essence of the city of Verona, Italy and romance. One of my ideas involved creating an image of a “stolen moment” or of a “peek” of a couple in love from the distance. I thought that seeing a couple, from a distance on an old bridge, might evoke old world Italy. In order to create my concept, I needed a couple and an old bridge. Because of the very short timeline, I called my sister and asked if she and her husband were free the next day to be in a quick photoshoot. That evening I scouted all over Seattle to find an old bridge that we could use (many bridges in Seattle are fairly modern) and I found an old brick bridge over the road at the Arboretum not too far from the University of Washington. I met my sister, Stephanie and her husband, Kendall, at the bridge during our lunch break the next day and I photographed them on the bridge, standing below near the road. That bridge in Seattle’s Arboretum is the Wilcox Foot Bridge. 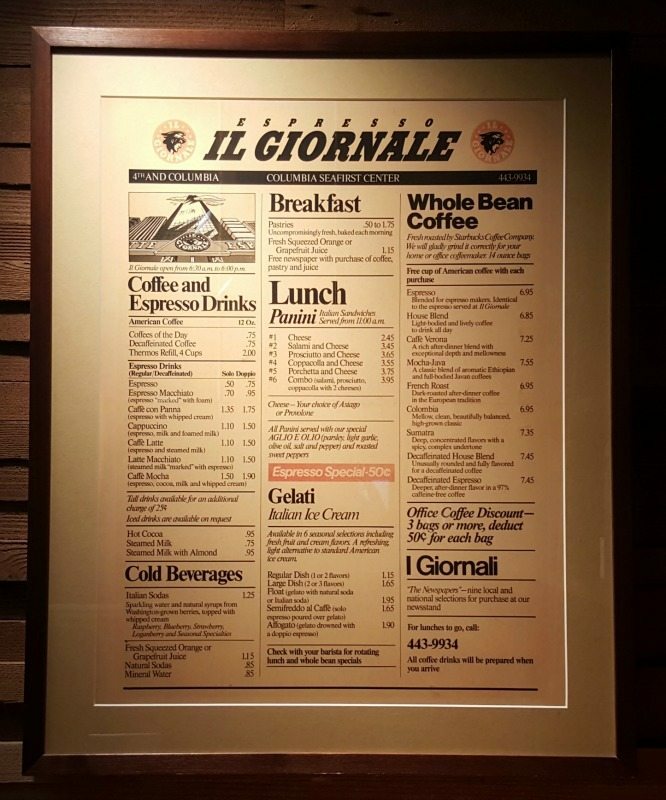 You now know a lot about the old Caffè Verona history. I’m personally still very partial to the old coffee stamp image of the couple of the bridge. 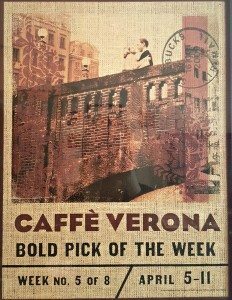 That’s my favorite of the Caffè Verona images and I wish Starbucks would bring it back! TheModernBarista – Caffè Verona with dark chocolate mochi. 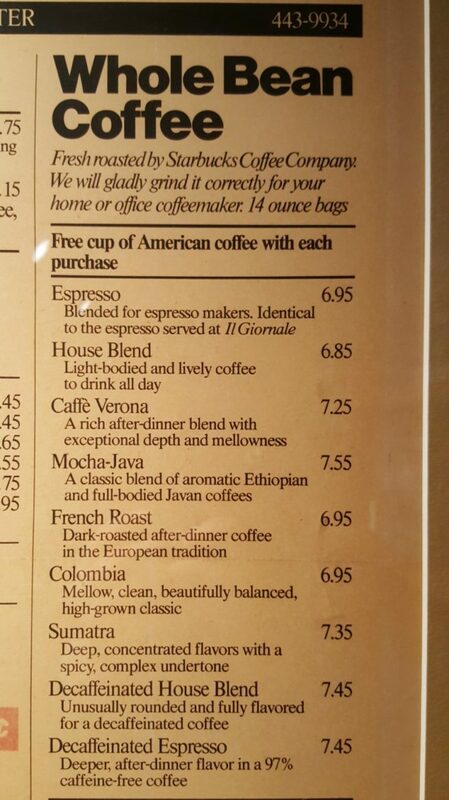 Caffè Verona through the years. 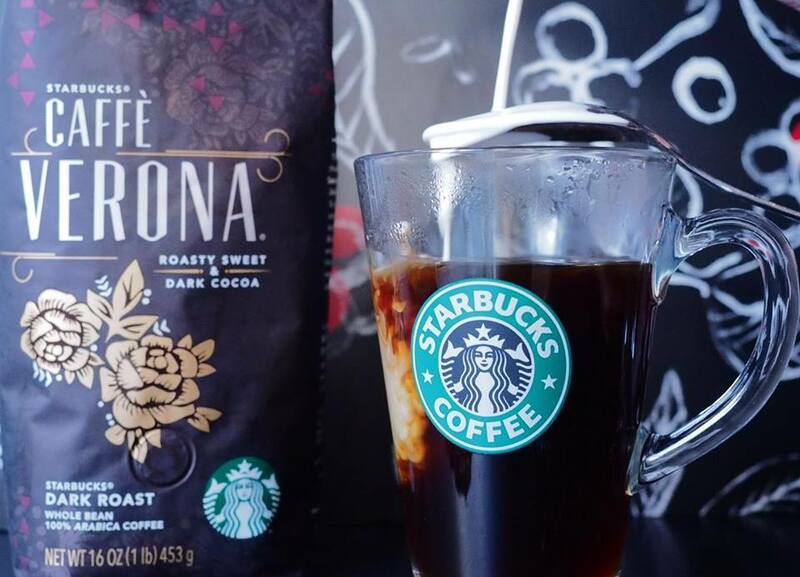 Official Starbucks newsroom story on Verona. 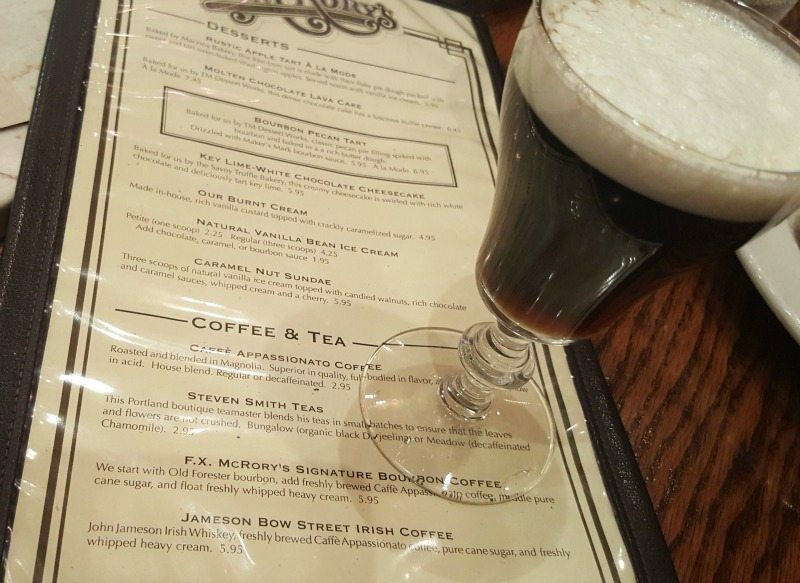 If you want to enjoy a great Irish coffee drink, get yourself to FX McRory’s. 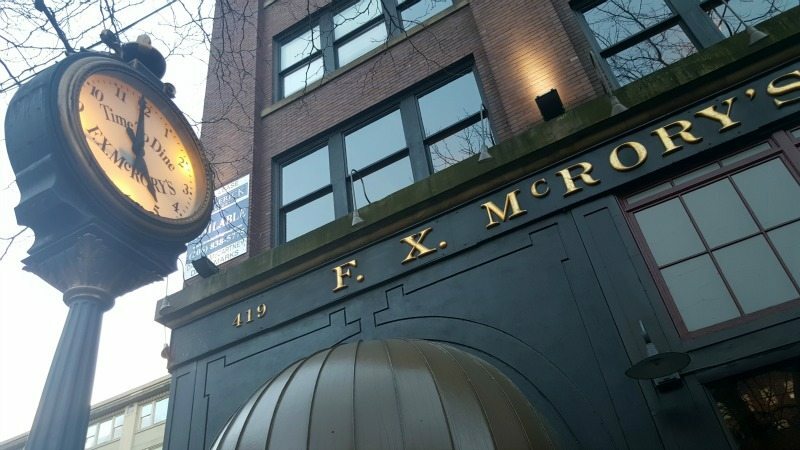 Mick McHugh operates the restaurant Fx McRory’s in Seattle’s Pioneer Square neighborhood. 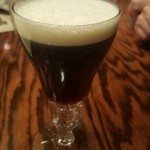 For research for this article, I forced myself to eat lots of happy hour food with two friends, and drank two of his famous Irish coffees, which are made with nearly the same recipe as they were in 1975, except now using Caffe Appassionato brand coffee. 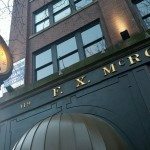 Take a look at a few pics from my visit to FX McRory’s. 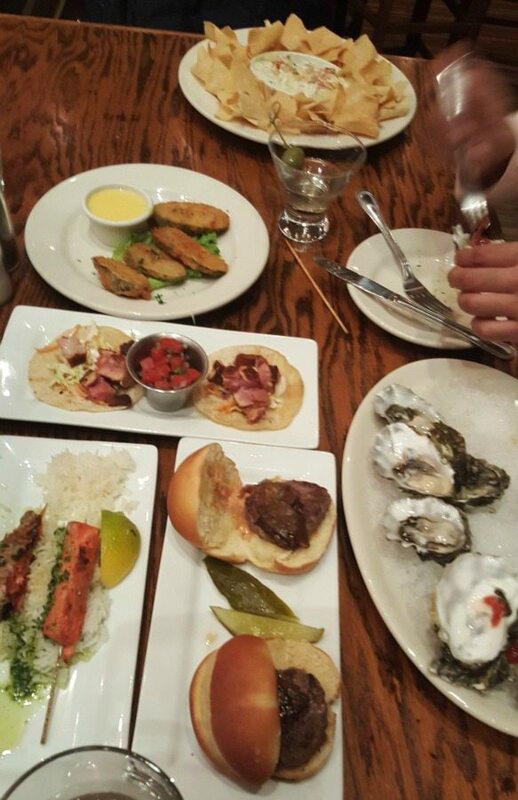 We ate way too much! 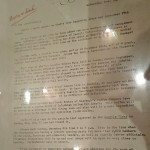 Thank you to Mick McHugh for generously sharing with me original 1974 – 1975 era Jake O’Shaughnessy’s documents. Thank you to Sandy Nelson for her insights into the history of the packaging and the origination of the name. Butterscotch and Teavana Citrus Green Tea Lattes? Yes Ma'am. But only for a short while. @Elisabeth – You’re welcome! This was a fun article to work on! Thanks for the great article! As I noted on Facebook, Caffe Verona is my favorite every day coffee (when I’m not having espresso drinks). I love the dark richness of the blend. This is your best article ever. I simply love the way you’ve managed to piece this together over the years – a truly excellent investigative piece! Bravo! And a true labor of love. Bravo! @CD – Thank you! I think it’s important to have a little more complete history out there! @Melody, IMHO this is your best article. It’s nice that we now know “the rest of the story” (thank you Paul Harvey). 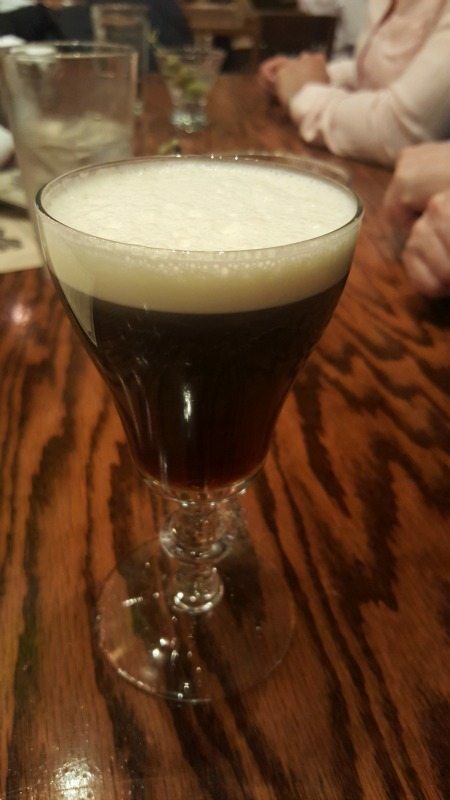 BTW, an Irish Coffee is my after dinner beverage of choice on the rare occasions we get out to a fine dining establishment. Thank you for sharing this! 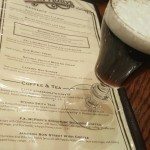 I’m in the beginning phase of preparing for my Coffee Master Certification and this artical is making me rethink my presentation and instead focus on one coffee and tell its story. Thank you, thank you, thank you!!!! Love the article. I was told through Starbucks partners that the Blend was House and Italian. Is it for sure Yukon and not house? I remember circa early 1990s, the stamp for Verona contained an Italian street address, which gave me an impression that it actually came from there. Love this article. Verona is one of my favorite coffee. Wish I can visit Seattle and Italy one day and check out the inspiration for Verona.